Inspired by some thin crust favorites like California Pizza Kitchen (no comment @feedmybeast) and Rubino's, I've been looking for a super thin crust for sometime. Tonight's came up short, but an interesting run. Key to any pizza cooking method: top and bottom must cook at the same rate. When the bottom starts to get some ashy spots, the top should start bubbling. I thought the cornerstone of this crackly and tender super thin crust would be a cast iron pan. 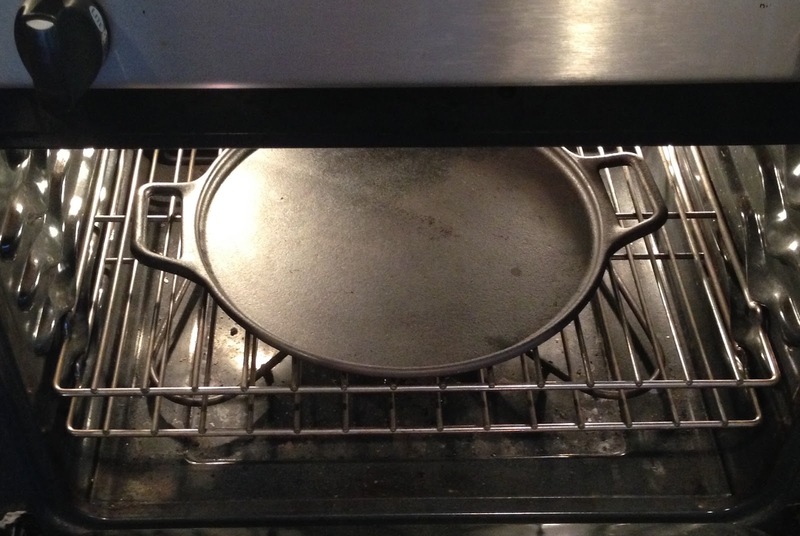 I used a 15" round cast iron pan one notch below center of the oven and preheated at 450F w convection. Convection mode turns on top and bottom heating elements alternately for more uniform exposure to heat. I was worried about heating only from the bottom with the dark colored steel. 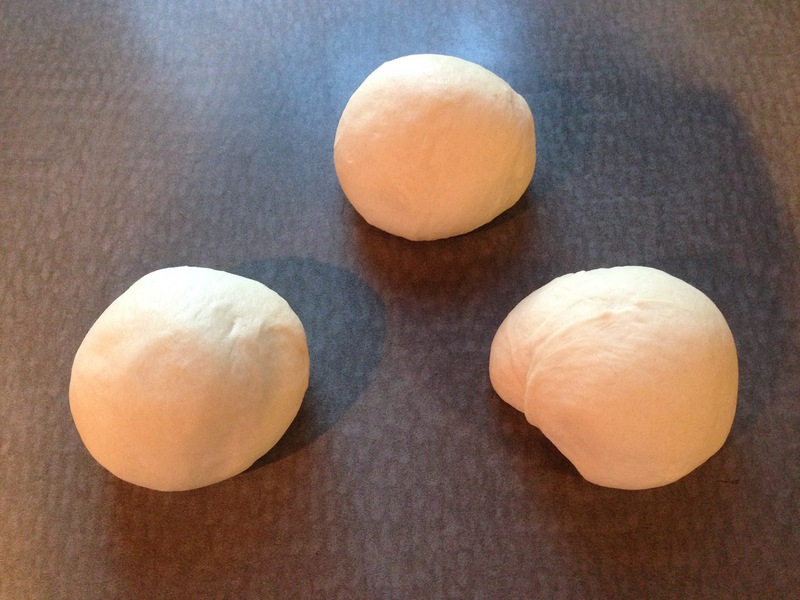 Dough balls. My usual pizza dough [water 180 g, flour 300, Fleischmann's fast yeast 3 g, salt 5 g, sugar 5 g, olive oil 25 g] one long rise then scaled to 150 g lumps and rounded. 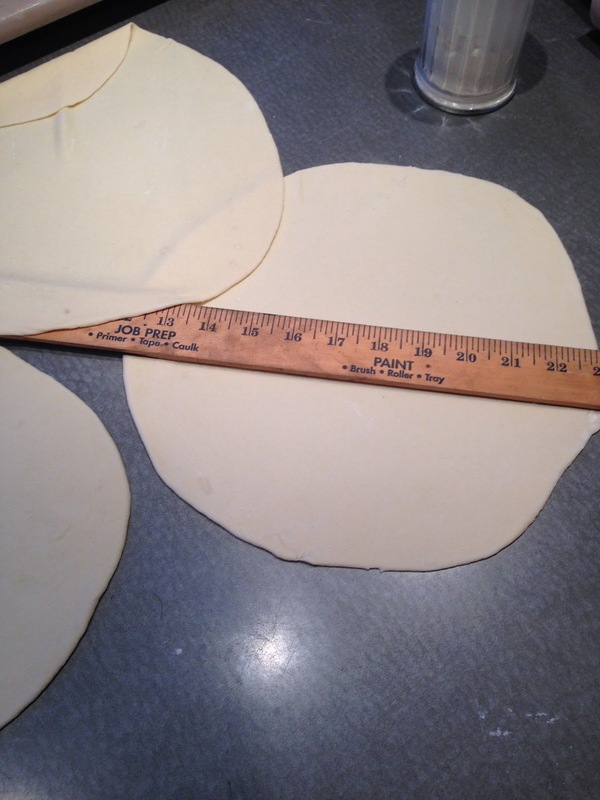 Instead of pushing out with my hands and tossing, I rolled them out to 12" diameter rounds and gave them ca. 5-10 min rest before topping. Frankie made her shell into a calzone with just sauce and cheese (kids?). 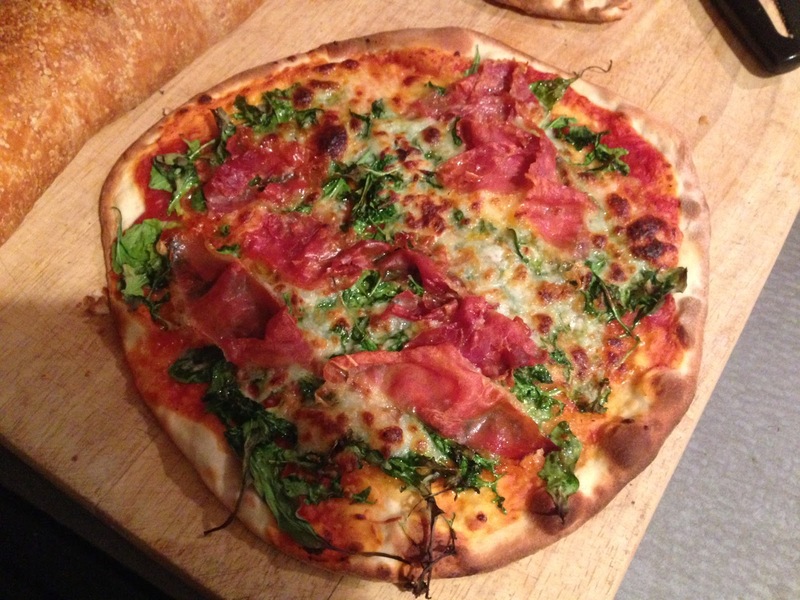 I topped ours with (in this order): tomato puree, arugula, prosciutto, mozzarella and olive oil. Cooked until it looked like this. It was ok, but nothing like CPK or Rubino's. I'll try again with 200 g instead of 150 g of dough and maybe alter my dough recipe - not sure exactly. I'm not sure why I even posted this, maybe with hindsight and the help of these notes I can figure out a better next move.